South Africa on Wednesday marked 100 years since Nelson Mandela's birth with a "town hall" forum hosted by Barack Obama and a walk led by the anti-apartheid leader's widow among a series of tributes. Obama, speaking to 15,000 people at a stadium in Johannesburg on Tuesday, gave an emotional address recalling the "wave of hope that washed through hearts all around the world" when Mandela was released from jail in 1990. "Through his sacrifice and unwavering leadership and, perhaps most of all, through his moral example, Mandela... came to embody the universal aspirations of dispossessed people," Obama said. "(He) shows those of us who believe in freedom and democracy we are going to have to fight harder." The former US president met Mandela only briefly in 2005 but gave a eulogy at his funeral, hailing him as "the last great liberator of the 20th century". South African President Cyril Ramaphosa, a protege of Mandela who came to power this year, said he would mark "Mandela 100" by donating half his salary to charity and called for others to do the same. "He led us from the wilderness of conflict and oppression into the land of promise, of freedom, democracy and equality," Ramaphosa said. Ramaphosa will spend Mandela Day in Mvezo in Eastern Cape province, Mandela's birthplace, at celebrations including the opening of a clinic, a tree planting ceremony and distributions of blankets to elderly citizens. Machel Graca, Mandela's widow, will lead a short walk to promote Mandela's legacy, while the centenary has also been marked with the release of a new book of his prison letters and a commemorative bank note. Delivering the Nelson Mandela Annual Lecture on Tuesday, Obama warned that the world had plunged into "strange and uncertain times", in a speech containing a series of apparent veiled attacks on US President Donald Trump. Obama made no direct reference to his successor but warned that "politics of fear and resentment" were spreading, driven by leaders who scorned facts and told lies with an "utter loss of shame". He also blasted climate-change denial, race-based migration policies, unbridled capitalism and "strongman politics" -- stances often cited as hallmarks of Trump's presidency. 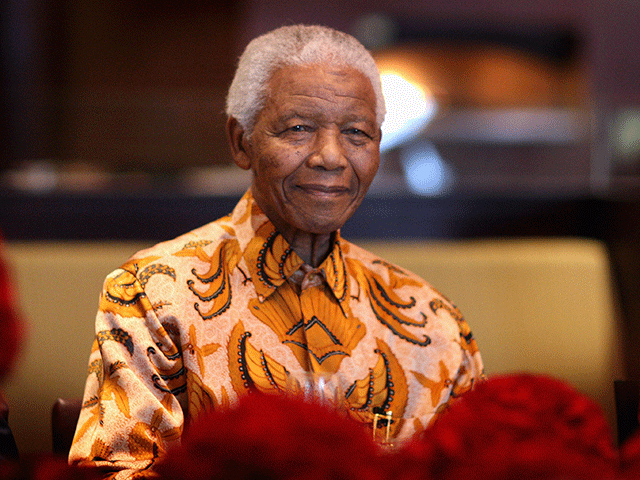 Also read: How much do you really know about Nelson Mandela?